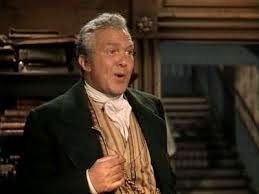 Legendary character actor Thomas Mitchell appeared in five classic films in 1939, but he is perhaps best remembered today for playing Scarlett O'Hara's father in Gone With the Wind. Like Scarlett, Mitchell was the child of Irish immigrants. He was born July 11, 1892, in Elizabeth, New Jersey, to a prominent family ( his nephew, James, was secretary of labor in the Eisenhower administration). He started out as a newspaper reporter, but his love of acting led him to a successful career on Broadway. 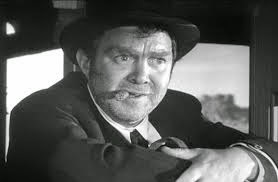 Thomas Mitchell won an Oscar for his portrayal of Doc Boone in Stagecoach (1939). In 1936, he turned to Hollywood to supplement his income. Mitchell soon established himself as one of the best character actors in the business, earning an Oscar nomination for best supporting actor of 1937 for his portrayal of an alcoholic doctor in The Hurricane. That film established a character archetype for Mitchell: the lovable lush who is actually a highly competent professional when he sobers up. 1939 was a landmark year for both Hollywood and Mitchell. He appeared in five classic films: Gone With the Wind; Mr. Smith Goes to Washington; The Hunchback of Notre Dame; Only Angels Have Wings and Stagecoach, for which he won the best supporting actor Oscar for playing yet another alcoholic doctor. Gerald O'Hara (Thomas Mitchell) lectures his daughter, Scarlett (Vivien Leigh), on the love of the land in Gone With the Wind (1939). Mitchell's Oscar could just as easily have been for his portrayal of Gerald O'Hara. Mitchell does some of his best work as Irish immigrant Gerald, a stubborn, childlike man, who is full of life and high spirits, just like his eldest daughter. The film's famous opening scene where Gerald lectures Scarlett about the love of the land, set the tone for the rest of the film, and thanks to its addition in many old Hollywood highlight reels, ensured Mitchell's screen immortality. 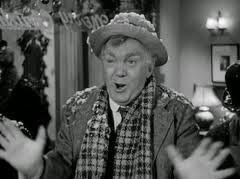 Thomas Mitchell as gentle Uncle Billy in It's A Wonderful Life (1946). Mitchell continued to work steadily throughout the 1940s and 1950s, appearing in many films, including the Christmas classic, It's A Wonderful Life (1946). Mitchell also acted on Broadway and television, earning both a Tony and Emmy award in 1953. Those awards made Mitchell the first actor to claim the "triple crown" of his profession. Mitchell died of cancer in 1962 and his ashes were interred in Los Angeles.